This year PCRM participated in both the 40th annual Vancouver Pride Parade and for the very first time in the 38th annual Edmonton Pride Parade! At PCRM we #pride ourselves in being an inclusive employer as well as a centre that provides a welcoming environment for those who are looking to build their families, regardless of their gender or sexual orientation. As we joined the throngs of parade participants in both Vancouver & Edmonton in our pride gear, none of us truly understood the impact we had on the LGBTQ2S+ community until we heard a couple yell out “We have a PCRM baby!” It really makes you stop and think about the difference your day-to-day job can make in people’s lives. Having been one of the participants in PCRM Edmonton’s first time in that parade, it was a very humbling experience. Being one of about two hundred organizations and community groups participating in the parade showed what an incredible commitment so many of us in the region have to the LGBTQ2S+ community. Seeing how quickly our staff came together to organize our parade entry was such a testament to our team dynamic and respect for the community and the cause of the parade. Once we started marching despite the initial on and off rain, seeing the thousands of people who had come out to stand on either side of the route was absolutely overwhelming. People supporting the community from all walks of life and backgrounds shouting out cheers and exuding nothing but positive vibes were what made all the work and prep worth it! As we handed out our signature keychains and candies it was not uncommon to hear individuals saying how they had previously or were currently being seen by our clinic, which was so rewarding to hear! Of all the services our clinics provide, those to the LGBTQ2S+ community are some of which we are most proud. For those looking to build families through the use of donor sperm, or through coordination of egg donors and gestational surrogates we are a place where all of these services can be organized under one roof. We’ll be there every step of the way through to the first ultrasounds demonstrating a fetal heartbeat – that first moment when the dream of building a family no matter what its structure seems so much closer to reality. Specific to the trans community, we offer the opportunity to preserve fertility either prior to any hormonal or surgical therapies to allow for the potential to have genetically related offspring in the future. 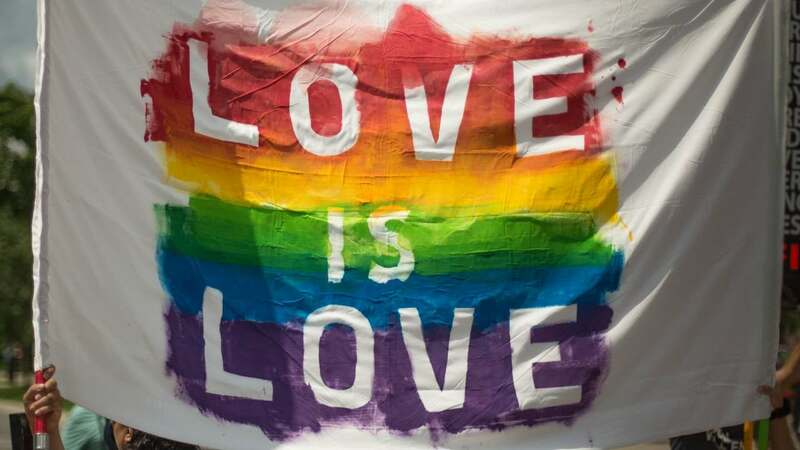 Looking forward to our continued participation in Edmonton and our ongoing participation in Vancouver Pride, we can take this time to reflect on how we can continue to be a leader in both cities in the provision of both information and of services in the building of families for members of our LGBTQ2S+ community. We are truly honoured to have participated in Pride this year and in the work, we do every day. Happy Pride!